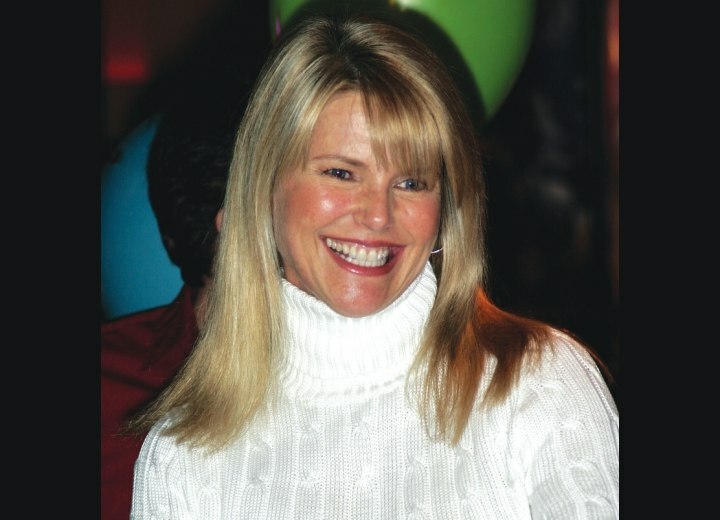 Ever the shining blonde we see, a smiling Christie Brinkley at the Ringling Brothers And Barnum & Bailey Circus in New York on March 20th, 2004. 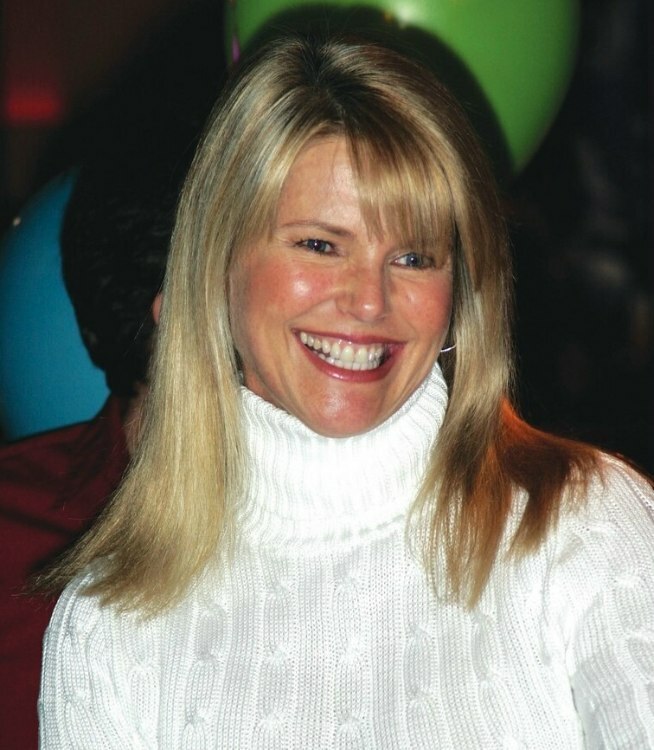 Christie wears her hair cut in a smooth blunt long bob to accommodate her active lifestyle. Her color is a pale light blonde that can be easily achieved when you are a natural medium to dark blonde like Christie is. Many conditioners are used after shampooing and applied afterwards to leave in the hair to have this natural healthy look. Fitness guru Christie also eats right.